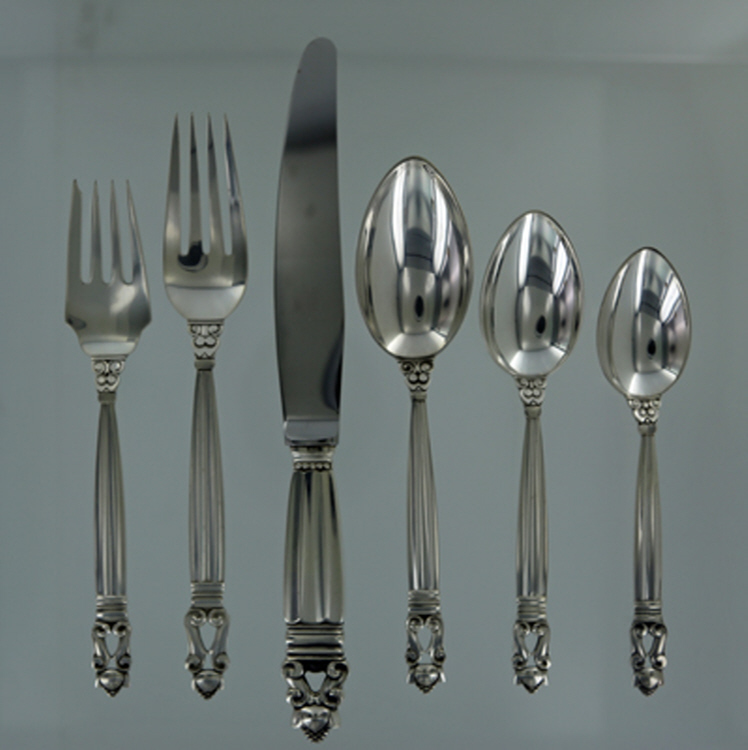 Georg Jensen Six-piece Flatware Service for 12 in Acorn. The Acorn pattern was designed by Johan Rohde in 1915. This service consists of the following individual pieces: 12 dinner forks (7.5 inches), 12 dinner knives (9 inches), 12 salad forks (6.625 inches), 12 soup spoons (6.8 inches), 12 large tea spoons (6.25 inches) and 12 medium tea spoons (5.75 inches). There are 72 total pieces in this service. Each piece bears impressed marks for Georg Jensen, Sterling Denmark. This service is in excellent condition.